We like the Evo-One 2. 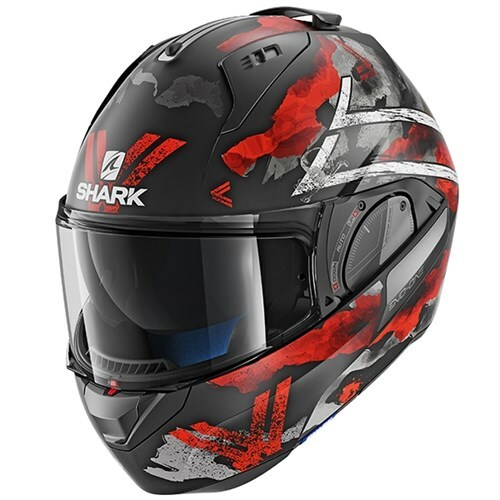 The Evo One replaced the Evoline helmet a few years ago. It was a cleverer lid with lots of added features. But it was, sadly, released into the market before it was ready for production, and it was let down by a couple of minor design flaws. Early last year, the Evo-One 2 replaced the Evo-One. It was a much improved version. It did everything it was supposed to. It works well, and we have had no issues with it. 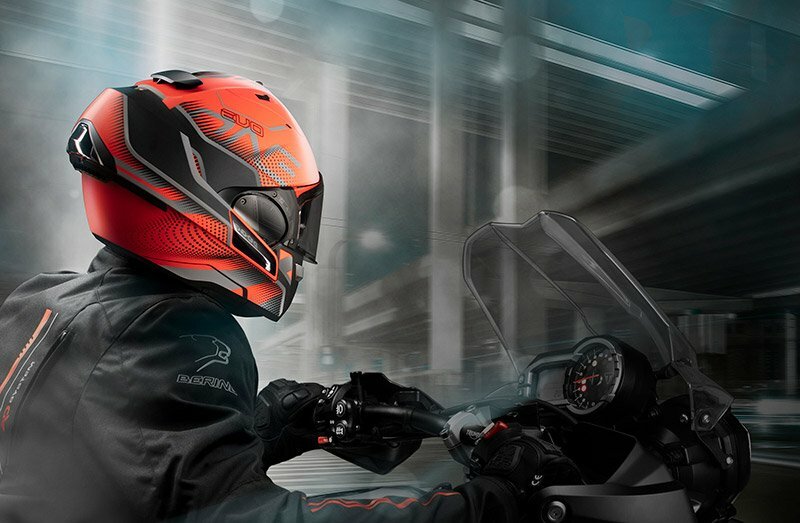 It’s the helmet the Evo-One was meant to be. 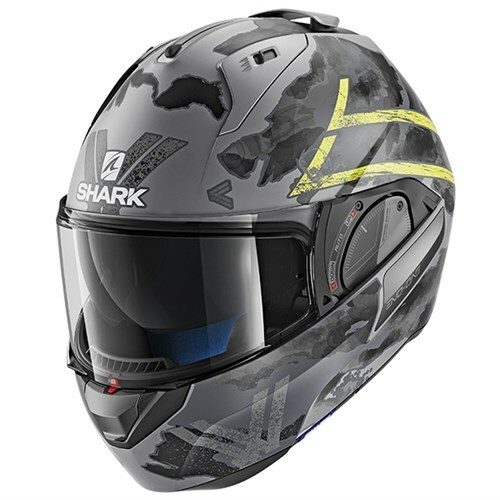 But, in truth, we’ve also struggled a little in understanding what the helmet really was, and who it was aimed at. Shark itself, and the importer, were never really forthcoming. 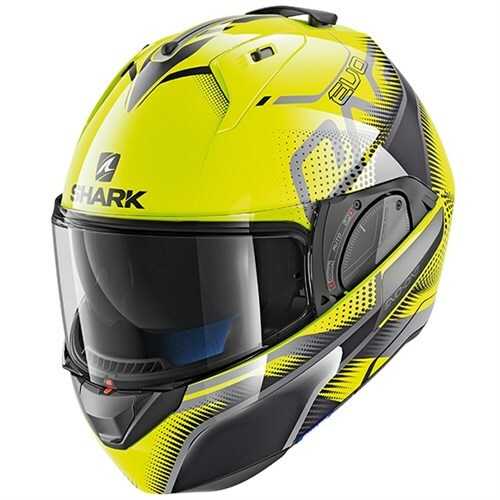 And what we’ve discovered over the years is that the manufacturers never want to position or target a helmet too tightly just in case it narrows the appeal too much. 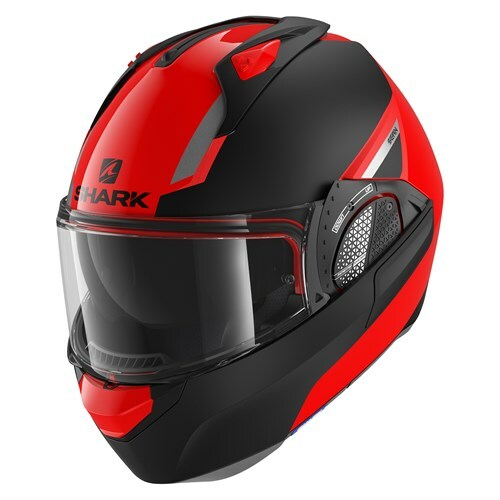 For us, marketing is about targeting and, when a maker is too shy to be open about a helmet’s intended use, we think they miss a trick. The Evo-One is a case in point. 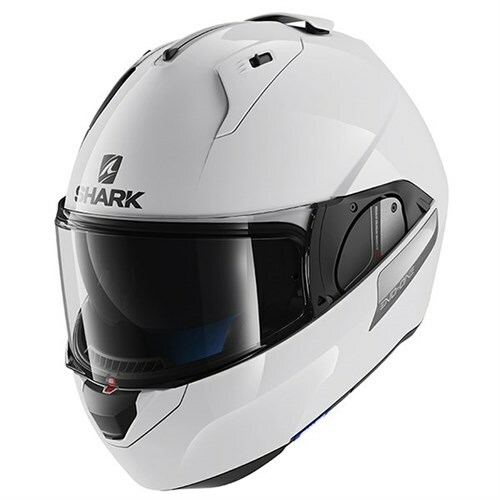 It’s been seen as another flip-lid like a Schuberth C3 Pro or a Shoei Neotec 2. The problem is that, for long-distance commuting or touring, it’s not a good as a high-quality flip-lid. It’s not as comfortable, not as quiet, and its comms. compatibility is pretty average; and that’s being polite. 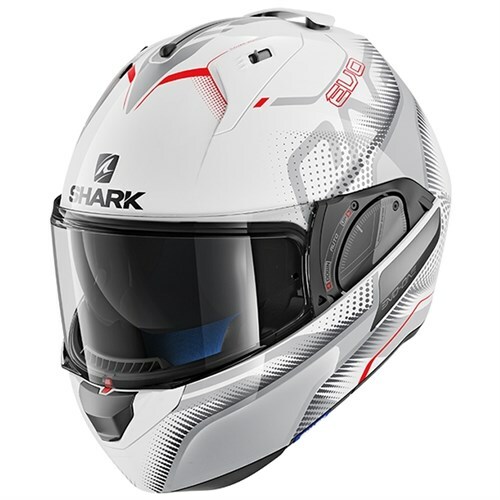 As a result, the Shark is a helmet without a great identity. 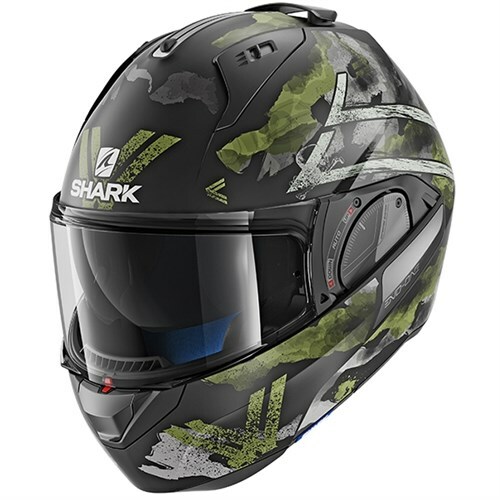 Most people don’t know what the helmet is about. And so it often gets overlooked. It was on a recent trip to Paris to meet with a supplier that I had a Eureka moment about the Evo-One. 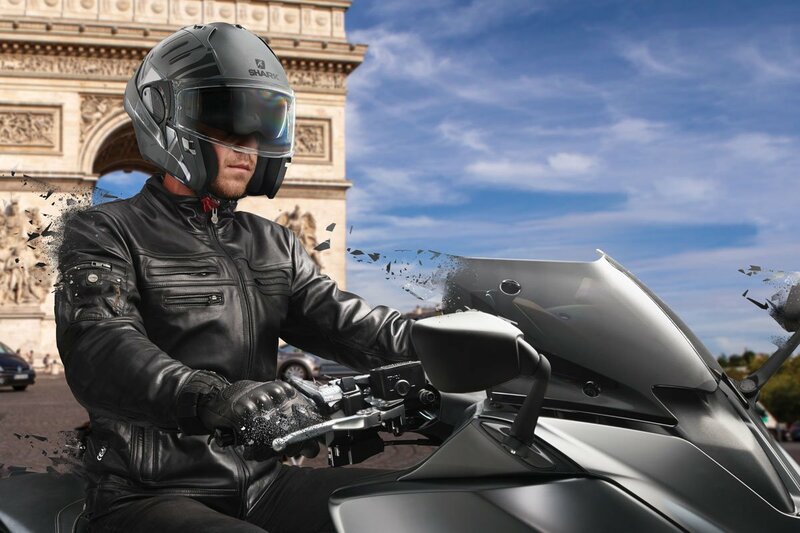 Literally every other commuter, whether they were on a high-powered scooter, an MP3, or a proper motorbike, was wearing an Evo-One. Paris is different to London. You don’t get a lot of people commuting large distances into the centre of the town on big GSs. And there are almost no bicycles. But there are thousands and thousands of scooters and medium-sized bikes. If you’re driving into Paris in the rush hour, you’re surrounded by bikes; in fact, behind, in front, to the left and to the right. And it’s easy to understand why. As in Milan and Rome, every street corner is free parking for bikes. Frankly, in cities like Paris, a bike makes so much sense, which is why everybody from the shop assistant to the chief executive commutes on a bike. 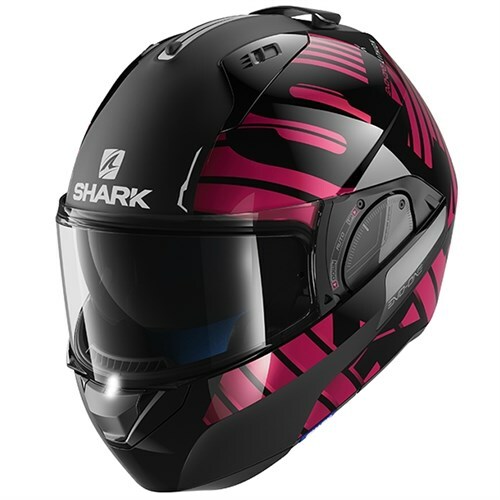 And a very significant proportion of the riders we saw wore a Shark. Thinking about it, it’s perfect for the job in hand. 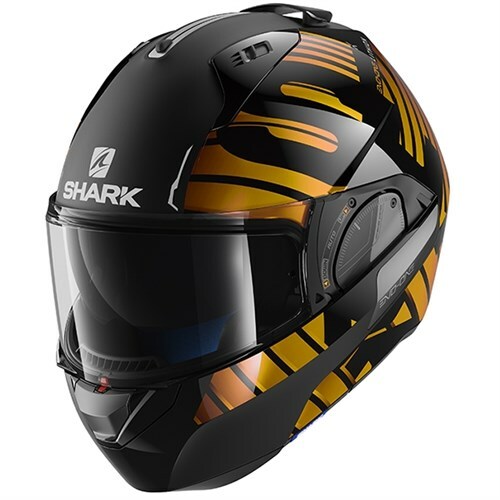 If you’re flying around the Périphérique and the pace slows a little, the riders just flip the chin far back, to convert the Evo-One into an open-face helmet. And again, this makes sense. It gets warm if you’re commuting in the centre of town and, with the engines of cars all around, you only get hotter. 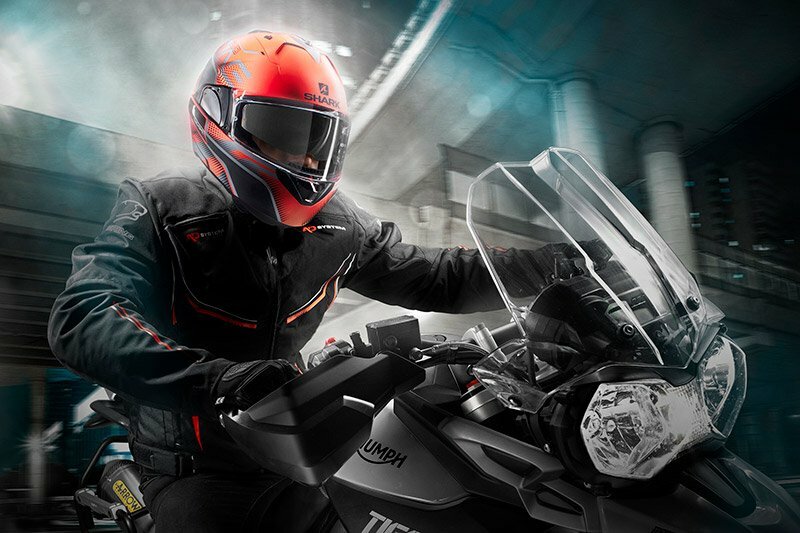 When you’re riding in this kind of heat, you don’t want to be wearing a full-face helmet. 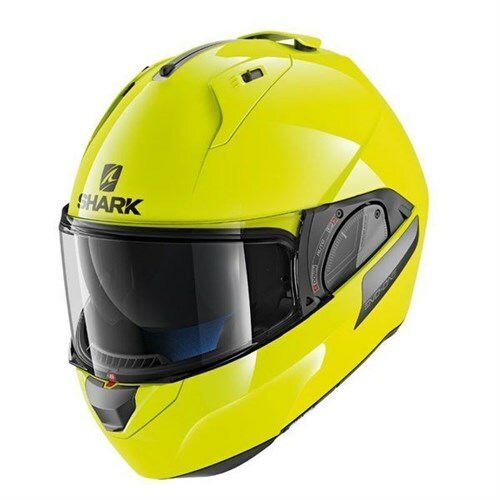 It could be suggested that a Shoei or Schuberth flip-lid can do the same thing. But not really. 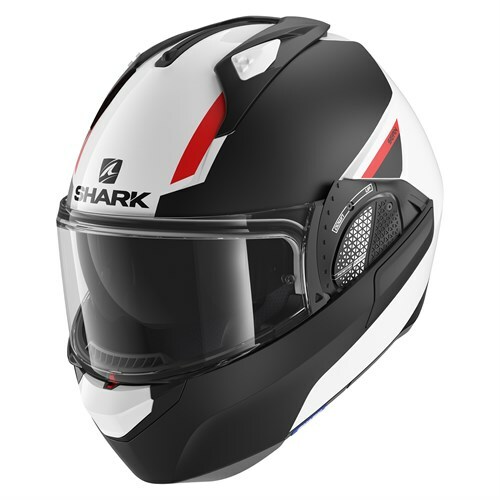 As a full-face, a Shoei or Schuberth might be better than the Shark. But when you lift the chin bar on a traditional flip-lid, you’re wearing a helmet that is much flawed. The raised, front-piece acts as a barn door. Its not very streamlined. It creates a kind of pendulum effect as the chin adds weight to the front of the head. And, in an accident, you risk bits of plastic and fiber glass breaking into shards and causing facial damage. 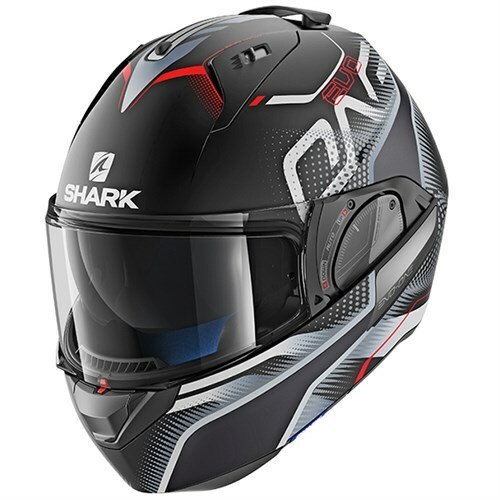 In every regard, riding the Shark in its open configuration is better than riding a flip-lid in its ‘open’ mode. Plus, of course, the Shark, with its extended side panels, adds much more protection to the chin. To us, what was not always clear, now is. 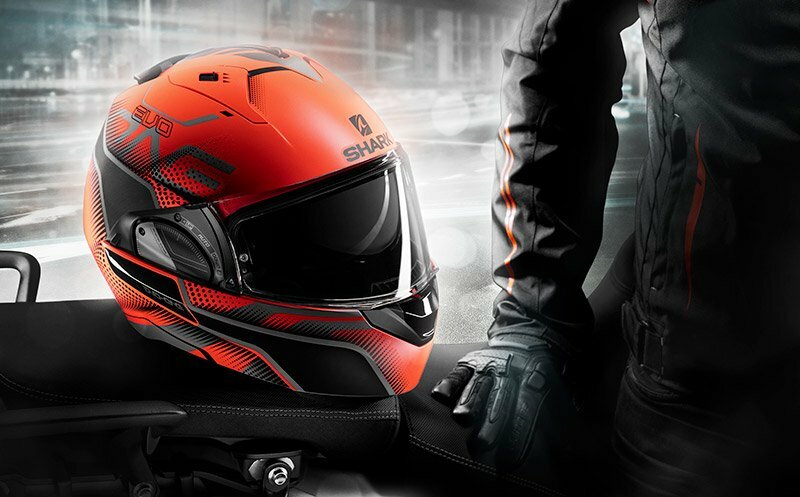 The Shark Evo-One is the ultimate urban commuting helmet. If you’re commuting from 30 miles outside the M25, then we can see the benefits of a flip-lid. 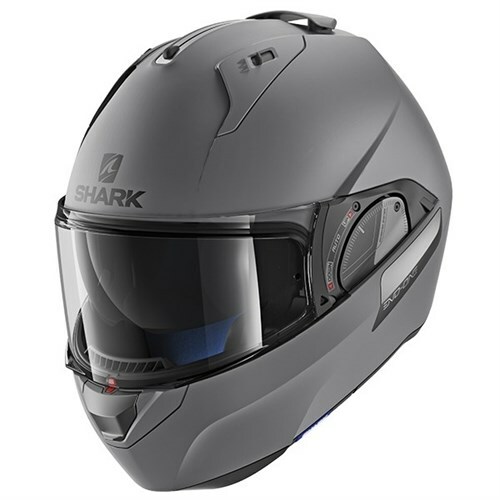 But if you spend more time at 50mph and less than you do at 70mph and more, then the Shark is probably the better option. 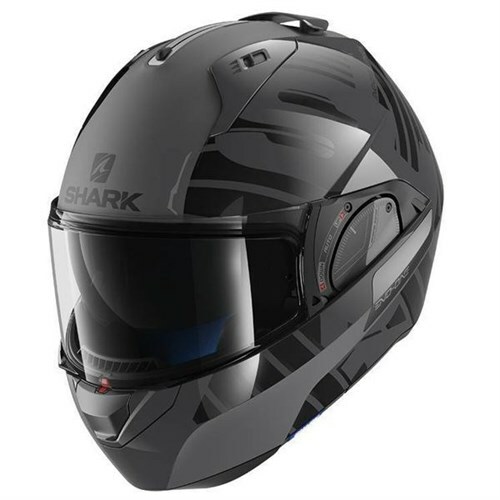 The Shark is a good full-face helmet and a terrific open-face. 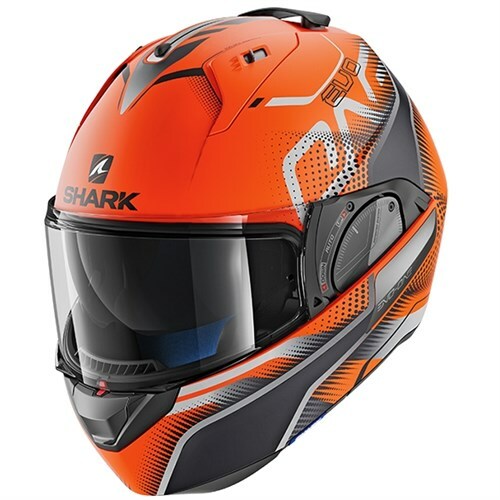 A flip-lid is a great full-face, but a darned poor open-face helmet. 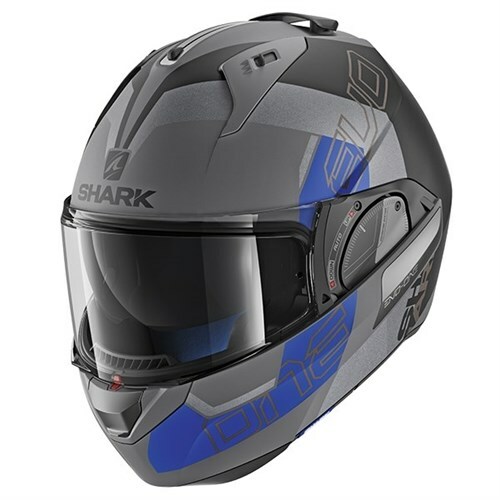 It’s horses for courses, but we now realize that the Evo-One 2 is the definitive commuting helmet. Nothing does closed and open anywhere near as well. 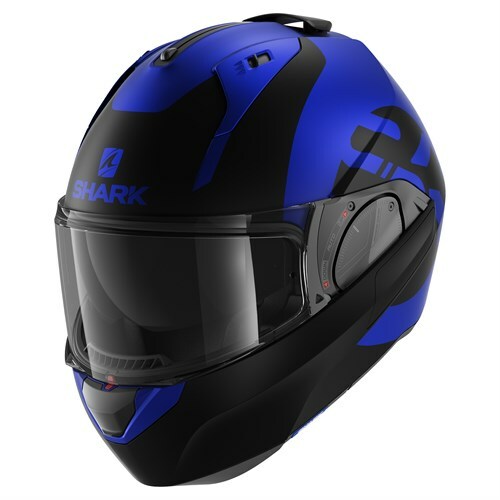 Click Shark Evo-One 2 helmet to shop the Shark Evo-One 2 helmet.